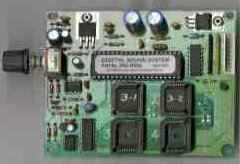 Our timer board can be used with a coin acceptor to control a motorised kiddie ride. For a more advance set-up, add our digital sound board. A LED 7 seg display can be added to show the amount of money as it is inserted, and the remaining time. This is an example of a Kiddie Ride Controller designed under contract to Kiddie Rides Australia. 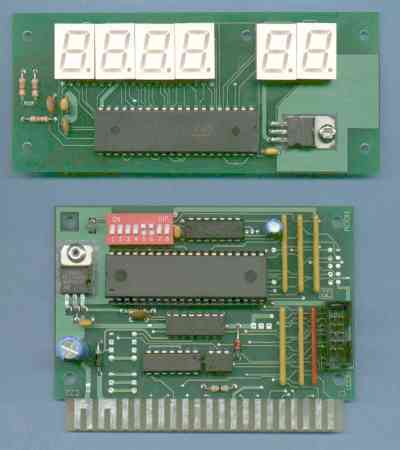 The board controls coin acceptance, has 8 lamp output channels, controls the motor timer and slow start, has a 4 channel LED chaser driver , and multi-voice sound. The option settings are extremely comprehensive. The ride owner makes option adjustments by using a Micro-Mate hand held keyboard/display which plugs into the controller board. Note: This information is included to illustrate our design and manufacturing capabilities. IP ownership of this product is assigned to Kiddie Rides Australia. 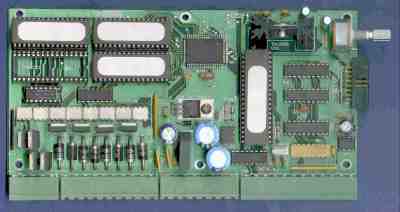 Micro-Mate is a product of Microsystem Controls. Link to Kiddie Rides Australia web site.